While my sons are very supportive and encouraging of my textile arts, they show little interest in many of the things I make. However, recently they both asked me to make something for them. With two daughters, Keith finds it necessary to always carry tissues with him but they quickly become very grotty. 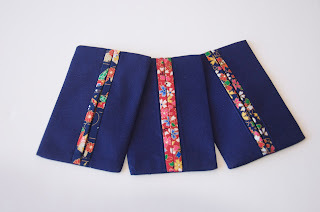 So I made him a tissue cover, using Japanese-style fabrics for the lining/trim. I actually made 6 (2 of each colour combination) and they proved very popular. I must put one in my handbag. 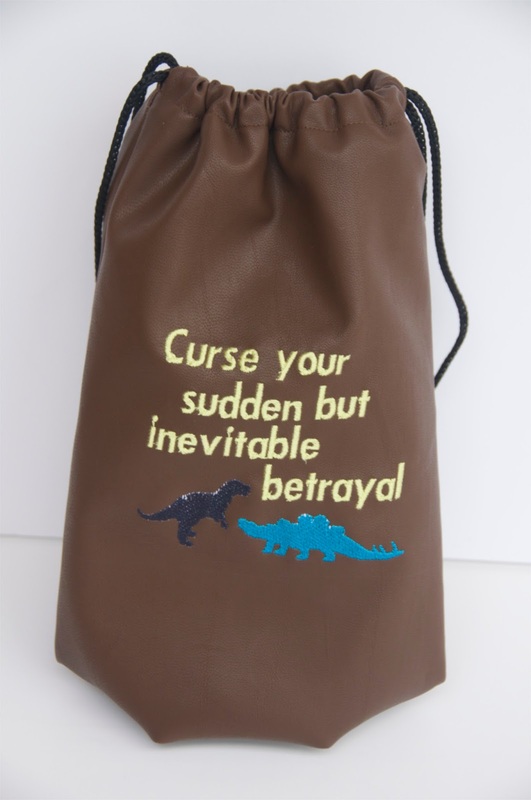 Then Dan wanted a dice bag for the board games he plays with friends. The bags are made in fake leather, with a machine embroidery design we found online, and lined in printed cotton fabric. 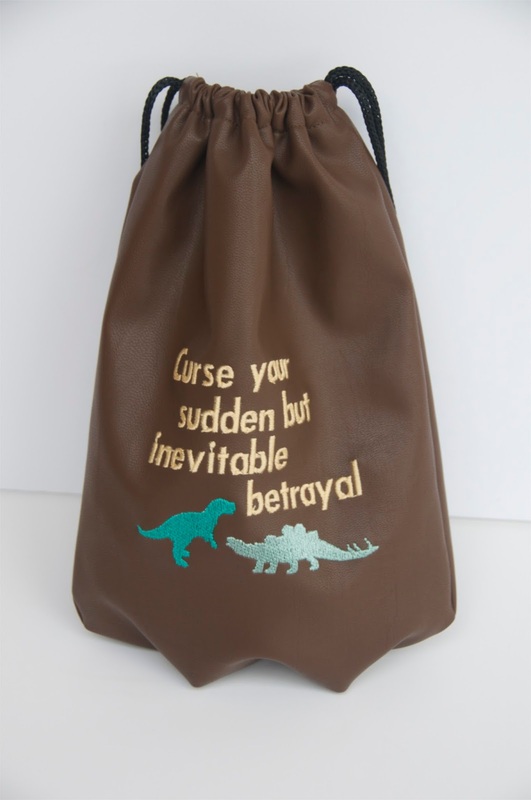 The design seemingly makes sense if you are a fan of the Firefly series - generally favoured by nerds. Dan also asked me to make a bag for his brother, almost a duplicate of his but with different in the embroidery. What great ideas. Perhaps they'll take more interest in what you do now!